of practising question formation in English. 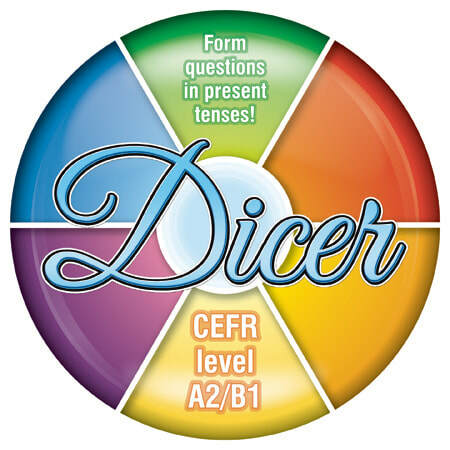 Dicer makes question formation more comprehensible and brings lots of fun in classes. You can use it with small and 1-2-1 classes as well as with large groups of up to 30 students. The instruction explains how to use it in different ways. This edition of Dicer has been designed for A2 / B1 level students. Look out for future realses of this game, which will focus on other grammatical structures and will be designed for various levels of English.